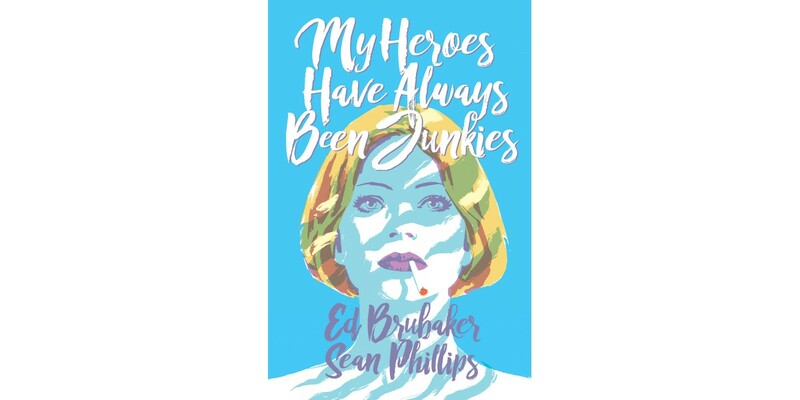 PORTLAND, OR, 6/19/2018 — MY HEROES HAVE ALWAYS BEEN JUNKIES, the first original graphic novel from the award-winning and bestselling team Ed Brubaker (writer on HBO’s Westworld, co-creator of Too Old to Die Young with Nicolas Winding Refn for Amazon Studios) and Sean Phillips—the creative team behind CRIMINAL, KILL OR BE KILLED, THE FADE OUT and FATALE—will hit stores this October. MY HEROES HAVE ALWAYS BEEN JUNKIES (Diamond Code FEB188004, ISBN: 978-1-5343-0846-6) will be available in comic book stores on Wednesday, October 10th and bookstores on Tuesday, October 16th. It can be pre-ordered on Amazon, Barnes & Noble, Books-a-Million, IndieBound, and Indigo.